Cut bottle gourd into cubed form.finely chop onions. 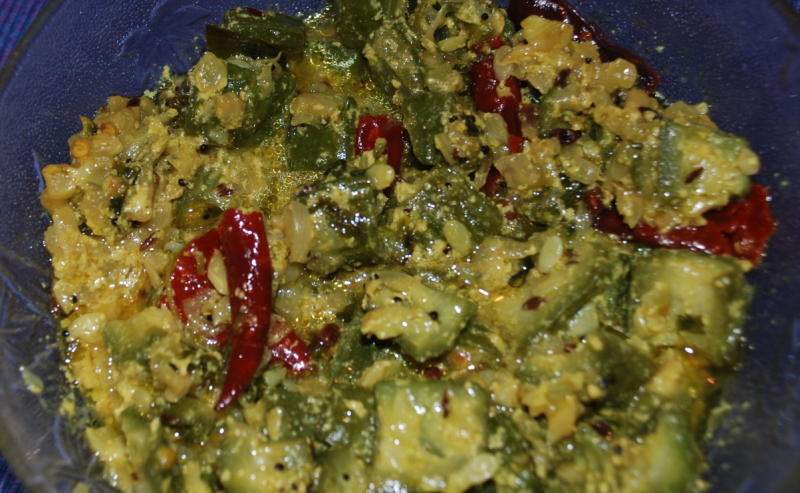 Heat oil in a kadai, splutter mustard, jeera, methi seeds, curry leaves, red chiilies,chopped garlic and onions. Add gourd to it and stir well adding turmeric and salt to taste.saute in high flame till all the masalas mix well with gourd and begin to cook. Now simmer and add 1/2 cup water and cook for 5 more minutes till the gourd is cooked. Add milk and mix well till the mixture turns saucy. thanks Mr Joseph Rajan...the same recipe can be followed for ridge gourd as well as for snake gourd.